Mere hours before the Thursday launch of the Motorola XOOM, the first tablet featuring Android 3.0 Honeycomb, the full and final 3.0 SDK has been released. Now as the flood gate to Honeycomb apps is wide open, we can't wait to see the first new apps appear on the Android Market. The highlights of the platform include a brand new UI framework for tablet apps, support for multicore architectures and eye-popping 2D/3D graphics along with all the action that comes with them, and many more. Actually, the SDK just finalizes the preview APIs without adding nothing new except for the possibility to test your apps and get them ready for the market. 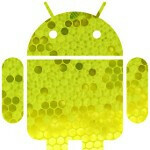 But if you think you have to wait for the first Honeycomb tablets, you're only partially right – crafty folks from XDA Devs have taken care to provide unofficial ports to Android 3.0 to smartphones like the Nexus One, the HTC EVO 4G, the HTC DROID Incredible and Desire HD for what we know. For the whole list of features take a look at the source link below and while you wait for the hordes of tablets, check out our first look at Android Honeycomb. The Android in the picture for the article looks like he has Herpecomb. I have herpecomb. Ouchy itchy!